Cap-Net UNDP in Stockholm World Water Week – 27 August to 1 September 2017. The Stockholm World Water Week will once again take place from 27 August to 1 September 2017 with the theme ‘Water and waste: Reduce and reuse’. A total of 377 organisations and 238 sessions participated by More than 3000 delegates and a total of 377 organisations from 133 countries will attend this annual event. Cap-Net UNDP as a partner of SIWI, will be promoting its new and signature programme, Cap-Tec, which aims at promoting the use of technologies through demonstration and innovative learning for expansion and incorporation in daily water management, planning and decision making. ( ). This event will also be streamed via live podcast. Cap-Net UNDP will also involve at 15 short sessions and toast at its booth shared with other UNDP Water and Ocean Governance Programmes. For more information, please contact Dr. Themba Gumbo or visit this link. The 25th edition of the World Water Week took place between August 23 and 28 in Stockholm. Under the theme “Water for Development”, the meeting was the annual focal point for global water issues. In many sessions, workshops and seminars, particular attention went to the Sustainable Development Goals (SDGs) and especially to Goal 6: Ensure availability and sustainable management of water and sanitation for all. 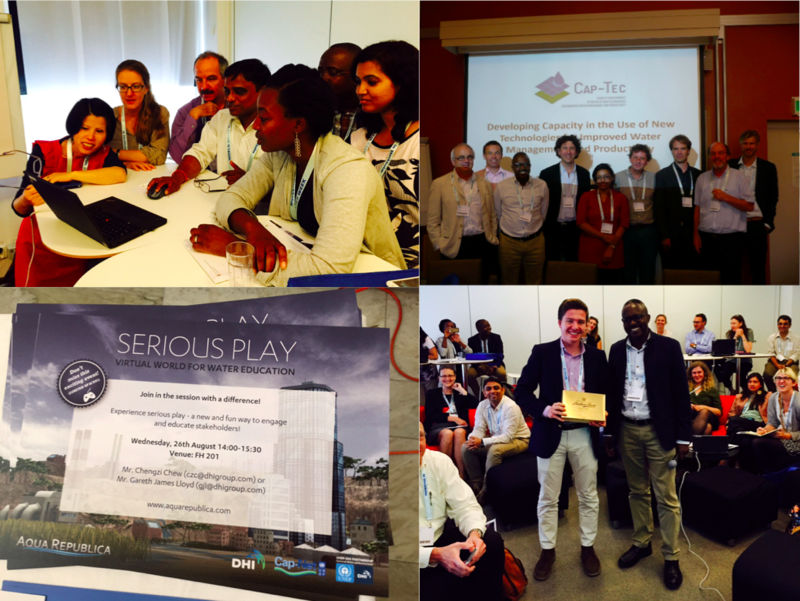 Experts, practitioners, decision-makers, business innovators and young professionals from a range of sectors and countries came to Stockholm to network, exchange ideas, foster new thinking and develop solutions to the most pressing water-related challenges of today. The Stockholm World Water Week 2015 will again take place in Stockholm as the annual focal point for the globe’s water issues. Organised by SIWI, this year’s theme will be ‘Water for Development’. Experts, practitioners, decision-makers, business innovators and young professionals will be visit Stockholm to network, exchange ideas, foster new thinking and develop solutions to the most pressing water-related challenges of today. The Stockholm World Water Week 2014 is back and will take place from 31 of August 2014. This event will be hosted and organised by the Stockholm International Water Institute (SIWI) and takes place in Stockholm. The World Water Week has been the annual focal point for the globe’s water issues since 1991. Every year, SIWI provides a platform for over 200 collaborating organisations to convene events at the World Water Week. In addition, individuals from around the globe present their findings at the scientific workshops. 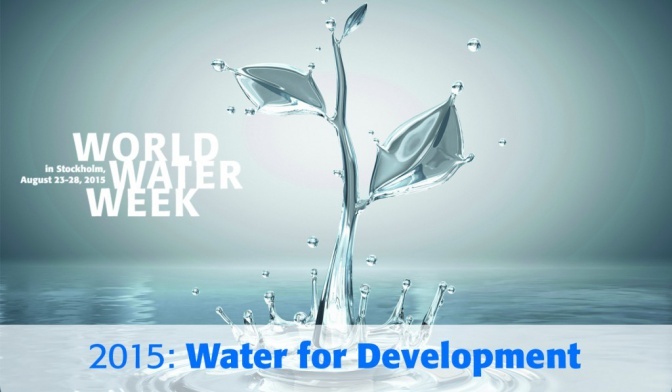 Each year the World Water Week addresses a particular theme to enable a deeper examination of a specific water-related topic. While not all events during the week relate to the overall theme, the workshops driven by the Scientific Programme Committee and many seminars and side events focus on various aspects of the theme. In 2014, the World Water Week in Stockholm has a theme of “Energy and Water”. An overall “systems view” of how energy and water are developed and managed for the good of society and ecosystems – at local, national, regional and global levels – and avoid unintended consequences of narrow sectoral approaches. The “water, energy and food security nexus”, underpinning the green growth approach, will be central to the agenda. The energy and water theme will be addressed from two overall perspectives: the societal opportunities and challenges, and the cross-cutting issues. Please visit the SWWW official webpage for more information.